Dudley ( DUD-lee) is a large town in the West Midlands of England, 6 miles (9.7 km) south-east of Wolverhampton and 8 miles (13 km) north-west of Birmingham. The town is the administrative centre of the Metropolitan Borough of Dudley and in 2011 had a population of 79,379. However, this figure excludes areas such as Sedgley and Gornal which under previous methodology were included in what was then called the Dudley urban sub-division which had a population of 194,919 in 2001. The much wider Metropolitan Borough of Dudley has a population of 312,900 (see demography). Dudley is sometimes called the capital of the Black Country. Tourist attractions include Dudley Zoo, Dudley Castle, the Black Country Living Museum and the historic marketplace. Dudley has a history dating back to Anglo-Saxon times, its name deriving from the Old English Duddan Leah, meaning Duddas clearing, and one of its churches being named in honour of the Anglo-Saxon King and Saint, Edmund. Mentioned in the Domesday Book as Dudelei, the town was listed as being a medium-sized manor in the possession of Earl Edwin of Mercia prior to the Norman Conquest, with William Fitz-Ansculf as Lord of the Manor in 1086. 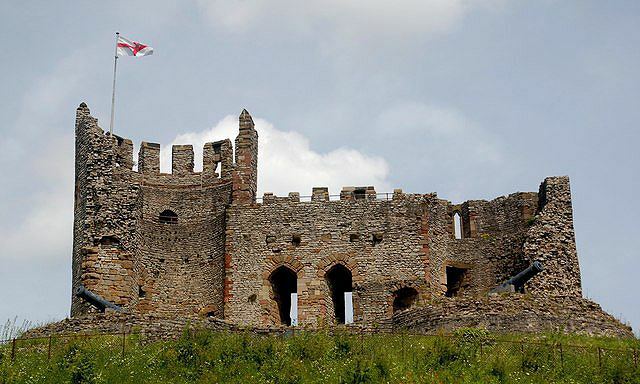 Dudley Castle, constructed in 1070 by Williams father Ansculf de Picquigny after his acquisition of the town, served as the seat of the extensive Barony of Dudley, which possessed estates in eleven different counties across England. Of historical significance, the town was attacked by King Stephen in 1138, after a failed siege of the castle following the Barons decision to support Empress Matildas claim to the throne during The Anarchy. The castle provided the centre from which the town and borough grew, with early coal and iron workings helping establish Dudley as a major market town during the Middle Ages, selling not only agricultural produce, but also iron goods at a national level. Working iron and mining for coal was in practice as early as the 13th century. 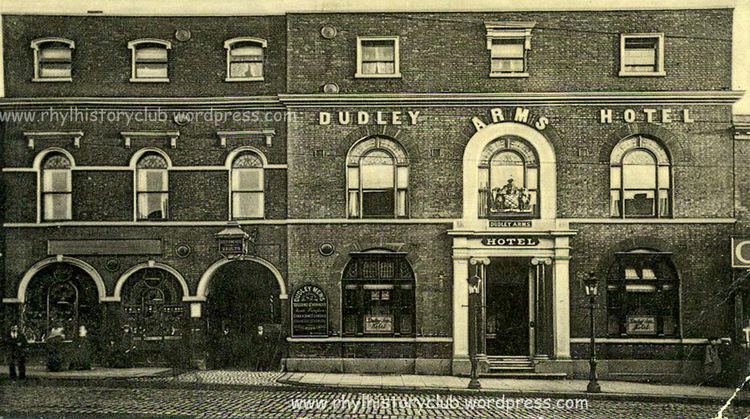 The first mention of Dudleys status as a borough dates from the mid-13th century, when Roger de Somery, then Baron of Dudley, approved of the establishment of a market in nearby Wolverhampton. An inquisition after his death further established the value and importance of the borough, with mentions to the towns growing coal industry. Dudley was home to a number of cinemas and theatres, including the Criterion Cinema, the Gaumont Cinema, the Odeon Cinema and the Plaza Cinema. The Hippodrome Theatre was one of the largest and most modern in the West Midlands, built along with the adjacent Plaza Cinema just before the Second World War. The 1,700-seat Hippodrome had many Art Deco features and was built on the site of the Dudley Opera House, which burned down in 1936, and after its closure in 1964 was in use as a bingo hall until 2009. The local authority plans to demolish the theatre as part of a regeneration of the area, although campaigners want it restored to theatre use. The Plaza Cinema was built on Castle Hill in 1938 next to the Hippodrome, and remained open until October 1990. The building was then taken over by Laser Quest, who used it until it was demolished in 1997. The site of the cinema remains undeveloped. The Odeon Cinema was converted into a Kingdom Hall for Jehovahs Witnesses in 1976. There is a Showcase Cinema and Bowlplex in the nearby Castle Gate retail park. Until 2011, the JBs nightclub was situated on Castle Hill, after relocating from an earlier site in the 1990s. Claimed to have been the longest-running live music venue in the UK, the club hosted early performances by acts such as U2, Dire Straits, and Judas Priest. It closed after going into administration, and has since reopened as a banqueting centre. Dudley covers an area of the South Staffordshire Coalfield, which contributed heavily to its growth and industrialisation during the 18th century Industrial Revolution. North-west of the town centre lies the Wrens Nest Nature Reserve, the first British nature reserve in an urban area and a site of special scientific interest (SSSI), considered to be one of the most notable geological locations in the British Isles. A part of the Much Wenlock Limestone Formation, it was heavily mined for centuries because of its large limestone deposits, and is also the location of one of the largest fossil sites in England. In the 1830s, Scottish geologist Sir Roderick Murchison visited the Wrens Nest to collect fossils as part of his research. 65% of his palaeontological evidence featured in the 1839 publication "The Silurian System" was from Dudley. Some of these fossils are still on display in the local Dudley Museum and Art Gallery. The town centre is home to several high street retailers, including River Island, Wilkinsons, Argos, Peacocks, and New Look. There are also branches Subway and Costa Coffee. McDonalds, British Home Stores, Marks & Spencer, and Debenhams have all had branches in Dudley Town Centre in the past. Most of Dudleys shops are concentrated along the Market Place and adjacent side streets. The front and inner photographs for the 1971 Led Zeppelin IV album were taken in the Eve Hill area of the town; the main tower block, shown side on, is Butterfield Court off Salop Street, and still stands today. The two other blocks were demolished in 1999. The borehole in local author Hugh Walters juvenile science fiction story The Mohole Mystery was sited in Dudley. The television comedy series The Grimleys was set in Dudley, but was filmed some 80 miles away in Salford. The museums in Dudley celebrate the geological and industrial heritage of the town and the surrounding Black Country region, and its role in the Industrial Revolution. The Black Country Living Museum is an open-air living museum, which consists of reconstructed buildings from the surrounding area forming a living replica of an industrial village, with demonstrators portraying life in the region from that time. The Dudley Museum and Art Gallery is located in the town centre, and houses a large collection of fossils excavated from the nearby Wrens Nest Nature Reserve, along with an exhibit on local footballer Duncan Edwards, and an art gallery featuring the work of local artists.